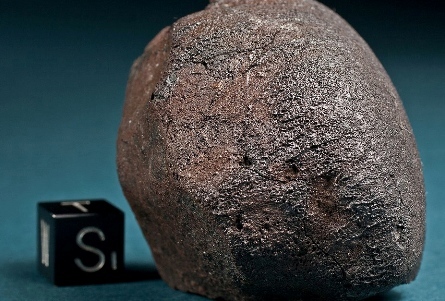 Could meteorite contain cosmic message? Chelyabinsk, Russia — Scientists have located a large chunk of the Chelyabinsk meteorite that came crashing down in Siberia on February 15 last year, causing injuries in this small village in the Ural region of Russia. The fragment was recovered from Lake Chebarkul by astronomers from the Ural Federal University and brought immediately to an undisclosed location for further examination. The scientists who first discovered the writings, which they are calling space hieroglyphics, say it could be nothing more than etchings from space debris that have mysteriously formed into some type of language. However, until a cryptologist can take a look at the rock and determine if there is any rhyme or reason to the markings, Russian officials are calling the find unremarkable. If Russian President Vladimir Putin has his way, however, we may never know what this rock says. Putin has agreed to have the rock, said to be about the size of a Russian wrestler’s fist, blasted to bits and pieces of it given to the winners of gold medals in the Olympics. The scientific community as a whole was aghast at such a proposition given the enormity of such a find. As in da Vinci, perhaps? Hurray for Alternative Energy Innovations!